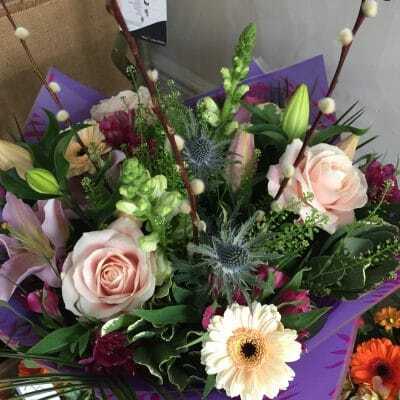 Chili Red Bouquet includes roses, chrysanthemums, germini and a range of foliage. 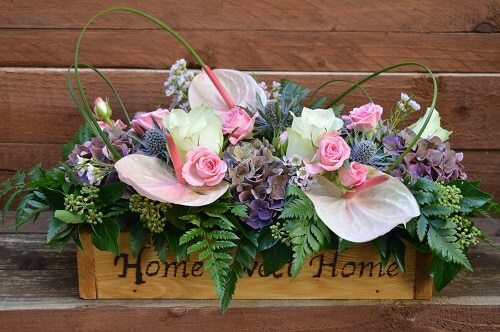 The bouquet is presented in an aqua pack contained in cellophane and presented in one of our floral boxes. 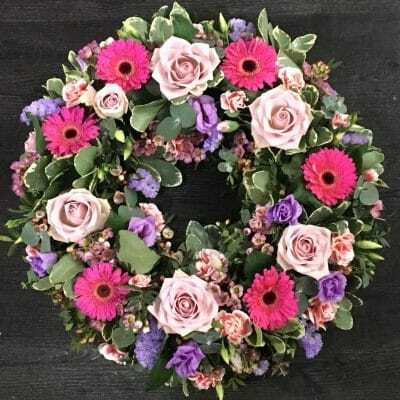 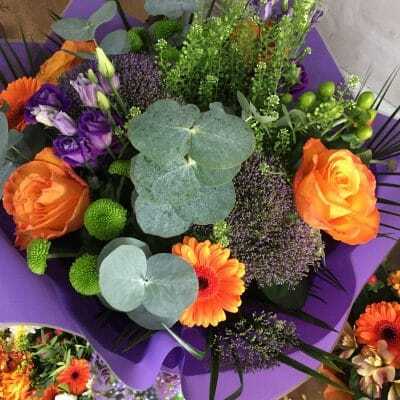 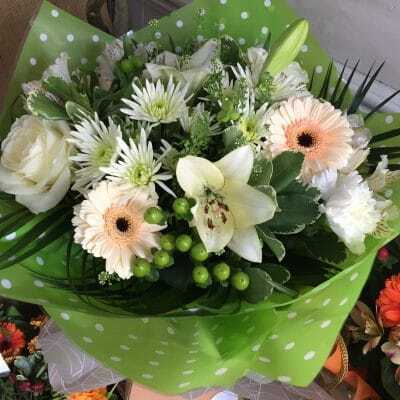 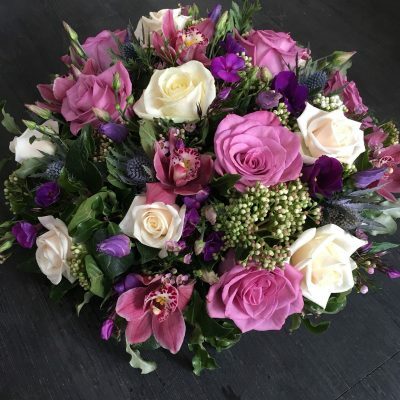 This bouquet is available for same day delivery.